It’s that time of year again! You know, the time of year when I try to decide if I’m going to be ready for a half marathon in January or if I’ll just be running the 10K. That’s right, the Cascade Half Marathon and 10K is just around the corner. Currently, I’m training and planning on the half, but I haven’t officially registered yet. I usually procrastinate until it’s almost time for that price increase and then I make my decision. So, that means I have until Christmas Eve to make my final decision. How about you? 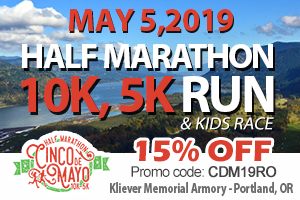 Have you run the Cascade Half or 10K yet? 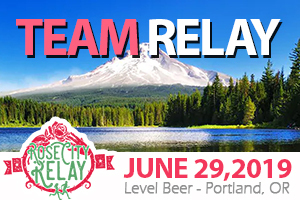 This annual Willamette Valley Road Runners event supports Cascade High School’s track and field program and provides scholarships to graduating high school seniors from the mid-Willamette Valley who wish to continue their education. Starting and finishing at Cascade High School in Turner (just south of Salem), this race typically has some pretty stiff competition, regardless of January’s unpredictable weather. And, did I mention that the half marathon (and 10K) is absolutely FLAT? That’s right, it’s an amazingly flat out and back course on rural roads through scenic farmland. 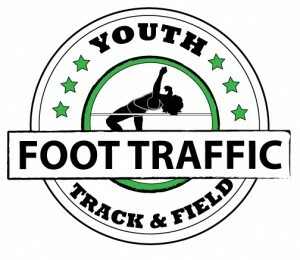 There is also a non-competitive 2 mile option at this event for those 18 and under, as well. Besides that flat course, there are many other things I like about this race. Even though the weather in January can bring pretty much everything – and I think I’ve run in all of it on this course – you are able to stay out of the elements before and after the race. The gym is open for packet pick-up and there is plenty of room to jog the hallways and get in some warm-up exercises in the gym. After the race, the locker rooms are open if you’d like a hot shower or just a place to change. Then you’ll want to head to the cafeteria for hot soup, coffee, bread, and cookies. Age group awards and raffle prize winners will be announced in the warm, dry cafeteria, as well. And, don’t forget about the great long-sleeved shirt (I wear mine often for running) and finisher’s medal. 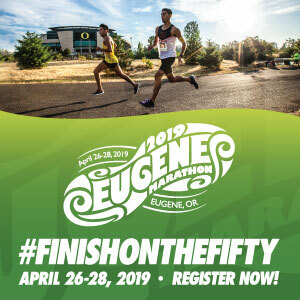 This race is limited to the first 1000 registrants for all the races combined, and there is NO day of race registration, so be sure to make that decision soon! Whatever weather January 20th brings us, I’ll see you out there.